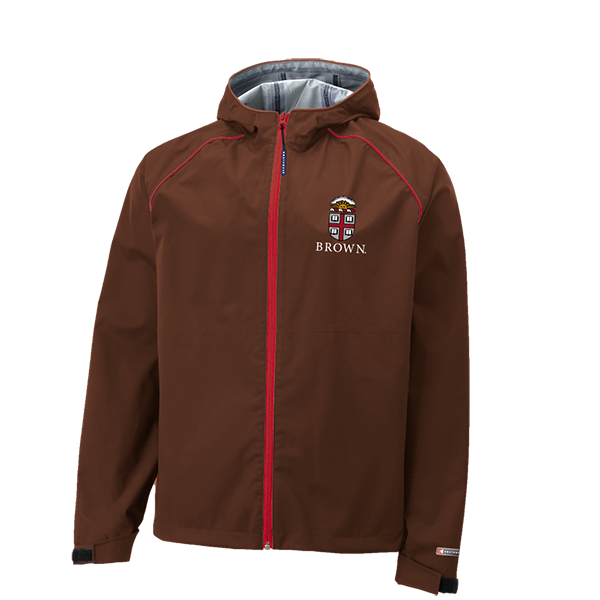 Please select option for Boathouse Men's Equinox Full Zip Jacket - Brown. 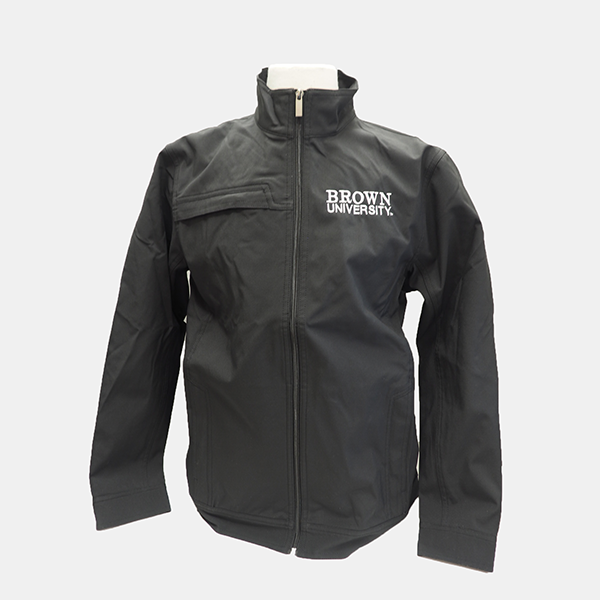 Please select option for Boathouse Men's Helium Jacket - Brown. 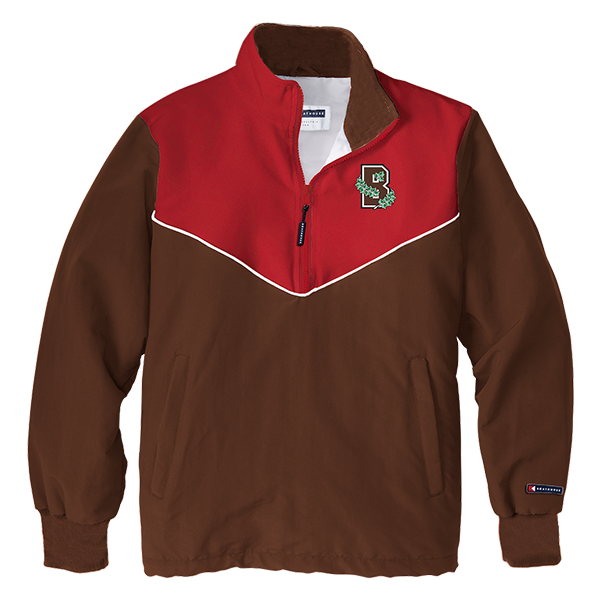 Please select option for Boathouse Men's Mission 1/4 Zip Jacket - Red & Brown. Champion, 100% polyester. Gray chest and shoulders with Crest stitched in black, gold, cardinal, black, and white above 'BROWN' stitched in black lettering on left chest. Full zipper with two front pockets. Graphite version features gray sleeves and lower body; Maroon version features dark red sleeves and lower body. Please select option for Champion Full Zipper Jacket - $67.99. 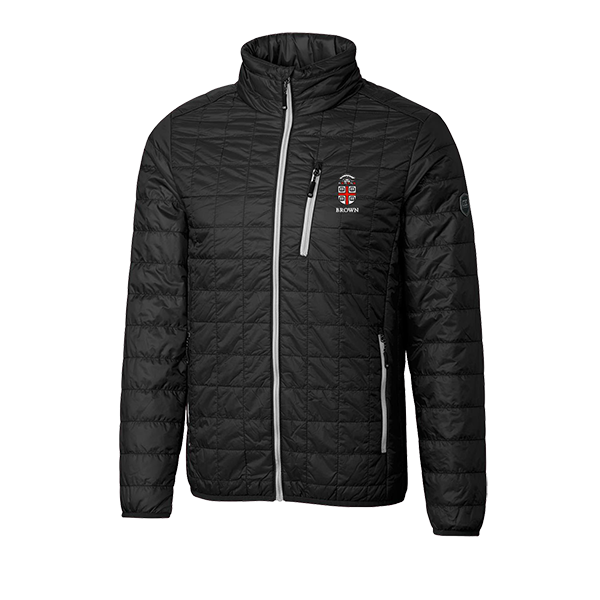 Please select option for Champion Light Weight Jacket w/Crest. Please select option for Champion Victory Jacket - Cardinal or Black. The Dockside is a great medium weight jacket made for an active lifestyle. 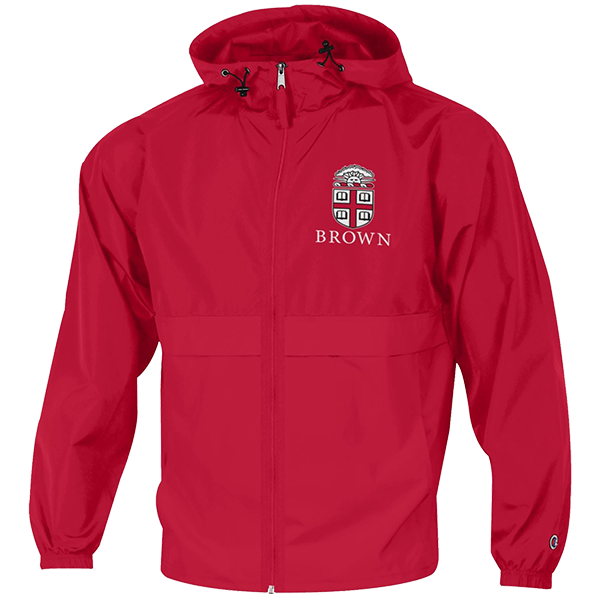 Wind and water resistant, jacket is crafted of 94% polyester, 6% spandex shell that is bonded to a mesh lining, giving the wearer a stretch-easy comfort. 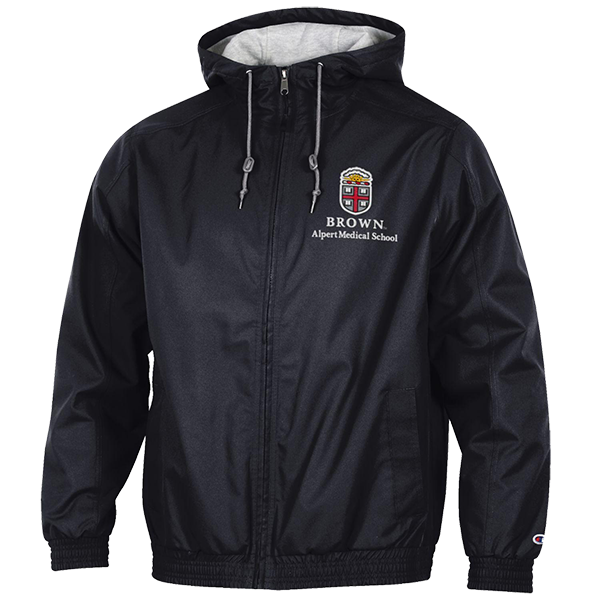 Features include, full-zip styling with a convertible spread collar, interior wind-flap, zippered side pockets, adjustable snap cuffs and a right chest pocket for your valuables. Perfect jacket for when you are on the move. Please select option for Charles River Men's Black Dockside Jacket - $69.99. Please select option for Cutter & Buck Men's Rainier Jacket. 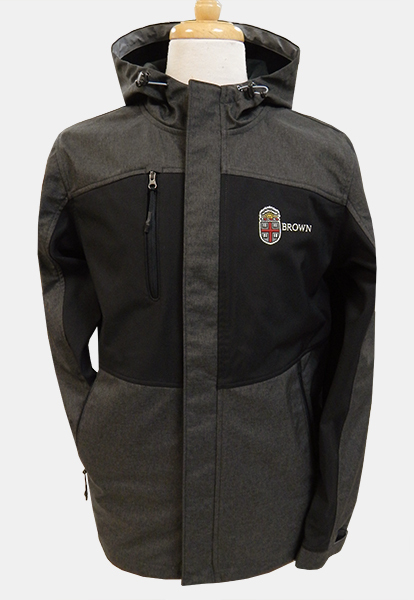 Ouray 100% polyester full-zippered charcoal mesh, fleece-lined jacket with side pockets and zippered pocket on upper-right chest. 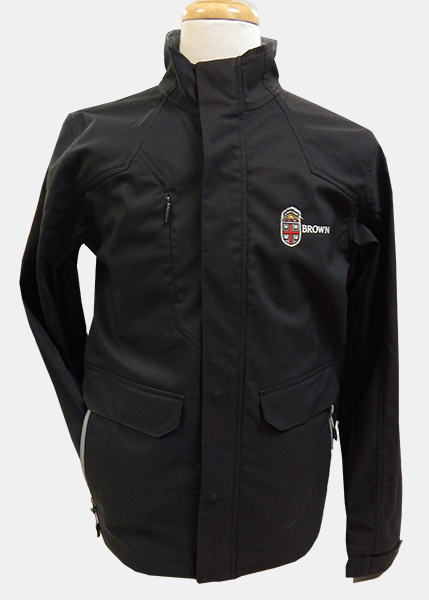 red, white, and black embroidered Seal above 'BROWN SCHOOL OF PUBLIC HEALTH' embroidered in white on upper-left chest. 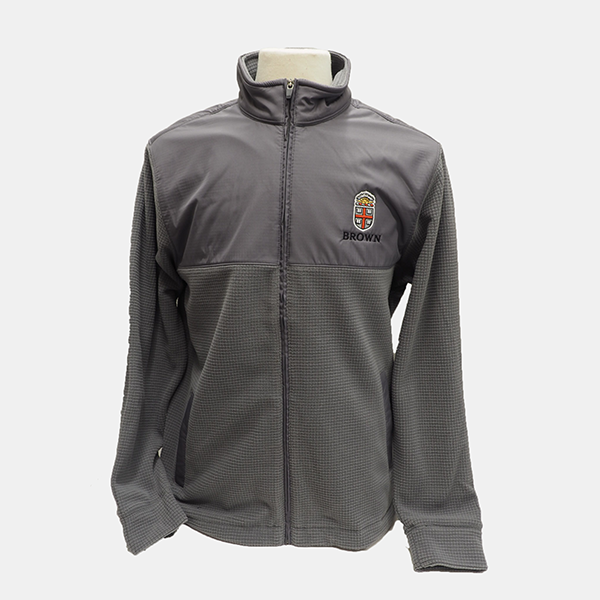 Please select option for Ouray Public Health Charcoal Zip Mesh Jacket - $49.99. 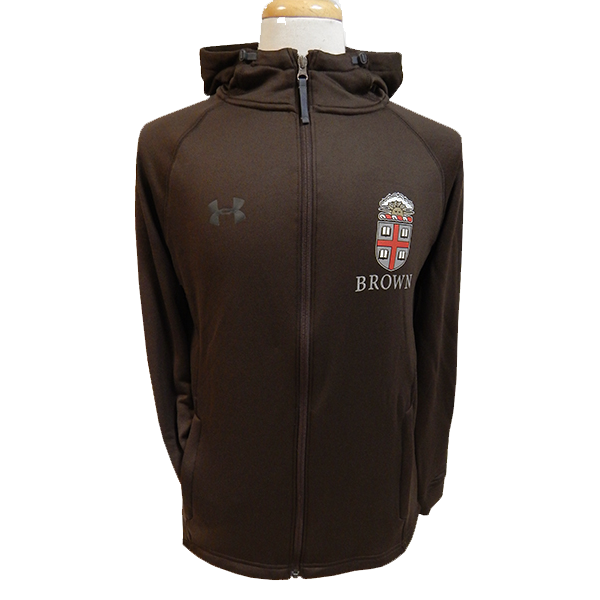 Under Armour coldgear, loose-fit, 100% polyester, full-zippered, bungee-adjustable hood, brown jacket with side zippered mesh pockets. UA symbol imprinted in charcoal on upper-right chest; Grey, cardinal, black, white, and gold Crest imprinted above 'BROWN' in grey on upper-left chest. 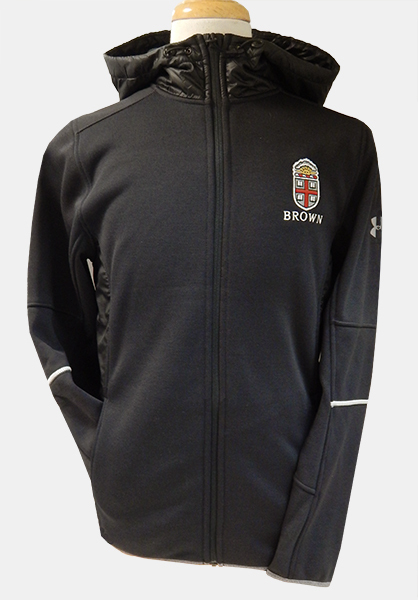 Please select option for Under Armour Brown Zip Crest Hooded Jacket - $92.99. Under Armour Storm, coldgear, water-resistant, loose-fit, 100% polyester, black with grey trim, full-zippered with snap-closure front flap, zippered side pockets with snap-closure flapped pockets, zippered pocket on upper-right chest, and velcro-adjustable sleeves. Embroidered grey, cardinal, gold, black, and white Crest patch next to 'BROWN' embroidered in white on upper-left chest, UA symbol imprinted in reflective grey on upper-left sleeve, UA symbol and 'STORM' imprinted in grey at end of right sleeve, and 'UNDER ARMOUR' in grey on upper-right back. Please select option for Under Armour Storm Black Zip Jacket - $125. Under Armour Storm1, coldgear, loose-fit, water-resistant, 100% polyester, bungee-adjustable fleece-lined hood, full-zippered, black fleece-lined jacket with contrasting side panels, reflective trim on sleeves, grey trim on end of sleeves and bottom, zippered side pockets. 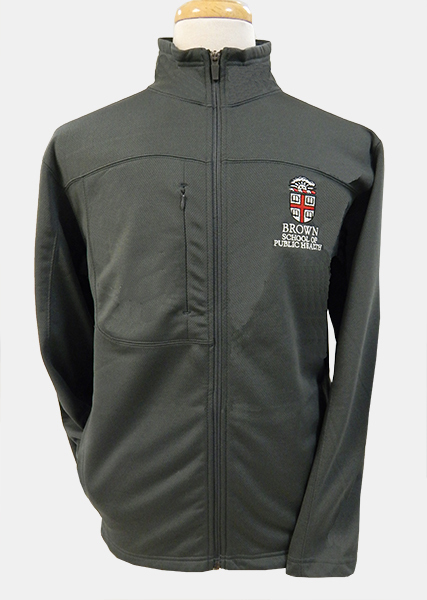 Embroidered grey, cardinal, black, white, and gold Crest above 'BROWN' embroidered in white on upper-left chest. Please select option for Under Armour Storm1 Black Crest Zip Jacket - $142.99. Under Armour Storm2, coldgear, softshell, highly water-resistant and windproof, lose-fit, 95% polyester, 5% Elastane body, 100% polyester lining, exclusive MagZip™ closure full-zippered with snap-closure, bungee-adjustable hood, black and charcoal jacket with zippered side pockets, zippered upper-right chest pocket, velcro-adjustable sleeves, and bungee-adjustable bottom. UA symbol imprinted in reflective light grey on upper-left sleeve. Embroidered grey, cardinal, black, white, and gold Crest patch next to 'BROWN' embroidered in white on upper-left chest. 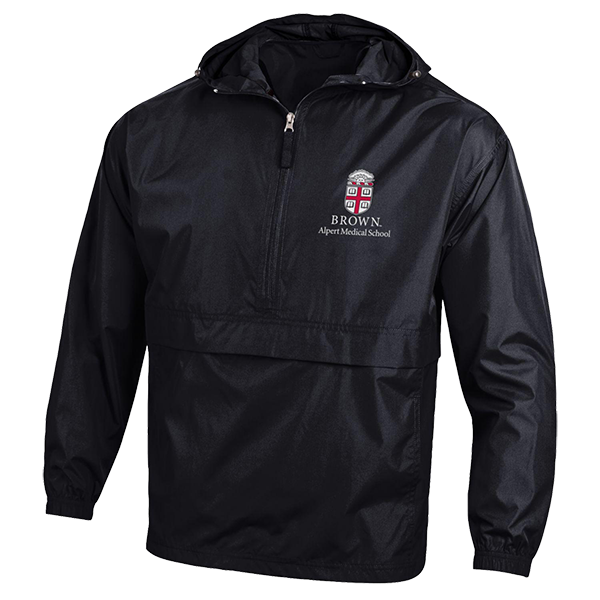 Please select option for Under Armour Storm2 Black Zip Softshell Hooded Jacket.